Here’s our Natural Dog Remedies and Solutions for dog anxiety, dental issues, kennel cough and much more… You can also find out the right way to easily register your pet as an Emotional Support Animal. Below our our 2018 solutions for this, new Natural Dog Remedies for Dog Anxiety and more. 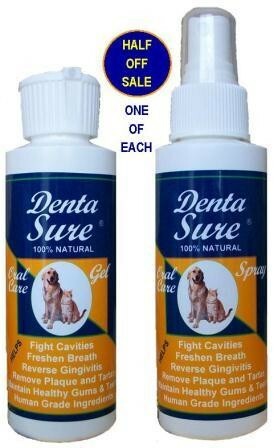 2 Reviews of Dog Tartar Removal Products That Work! Baltic Amber Collar with Adjustable Leather Strap for Dogs and Cats / Natural Pet Protection / Gift-Ready Packaging – Perfect Present for Every Pet Lover / 100 Days 100% Satisfaction Guarantee! A Doggie Fountain of Youth? Maybe…and Even More! Does your dog have anxiety, bark and growl at approaching dogs or not want to go where you want them to because they are afraid? When I first got Xena she was very shy and anxious as she came from a puppy mill and must have had some terrifying experiences. She was horrified of kids and is still to this day though not as bad as she was. In general she fears people but tolerates them. Other dogs are different story and show a totally different side to her. If she walks with me a lone and another dog approaches and the dog does not appear to be a threat she ignores the dog. But if she is with Zoey who has been attacked a lot she thinks every dog is a threat. The first thing I tried for her anxiety was some advice from the vet who wanted to put her on Prozac. When I found out about the side effects I said “No Thanks!” and for years tried everything and was ready to give up on the idea of having her not react to other dogs. But the M Calming Cap by Thundershirt, the Thundershirt Dog Anxiety Shirt worked for my dogs. And the Thundershirt is available for cats too! To get an idea of what the ThunderCap is like please read our review below and click on a banner below it to find out more or purchase and see other great pet anxiety products from our partners.